It has taken two years and $3 million, but the 61,000 items which comprise the Research Collections of the Louis Armstrong House Museum have been digitized and are now available for viewing by jazz scholars and people who want to know more about the legendary musician. During his lifetime, Armstrong amassed a huge trove of writings, recordings, and artifacts. He wrote hundreds of pages of memoir, commentary and jokes, made collages and scrapbooks, and recorded himself on reel-to-reel tapes, capturing everything from casual conversations to the music he was listening to at the moment. While in his 20s, Armstrong would clip newspaper articles about himself and put them in scrapbooks, which he often used to convince club owners of his legitimacy. He wrote constantly – mostly letters and short stories about his life, often in the form of limericks. When he joined King Oliver’s band in Chicago in 1922, he brought along a typewriter. By 1936, he had already published an autobiography. Over the course of his career, he wrote over 10,000 letters to fans, hundreds of pages of personal observations, and enough lengthy jokes to fill an entire book. Starting in 1950, he used a tape recorder to capture interviews, radio broadcasts, and comments about his travels and life on the road. His writings showed him attuned to race and politics, and he took his role seriously as a global ambassador for American culture. Armstrong died in 1971 at the age of 69 following a series of heart attacks, and the Collection remained in the family until 1986 when the estate selected Queens College as its permanent repository. When Michael Cogswell was hired in 1991 to create the Louis Armstrong Archives, he was faced with the task of culling through 72 cartons of memorabilia, including 17,000 news clippings, photographs, sheet music, album covers, and concert programs; 85 scrapbooks and 650 home recordings. It took him three years to sort through it all just to know what was available. In 2009, Ricky Riccardi, who has a master’s degree in jazz history and research, and who in 2011 authored What a Wonderful World: The Magic of Louis Armstrong’s Later Years, was hired as archivist. 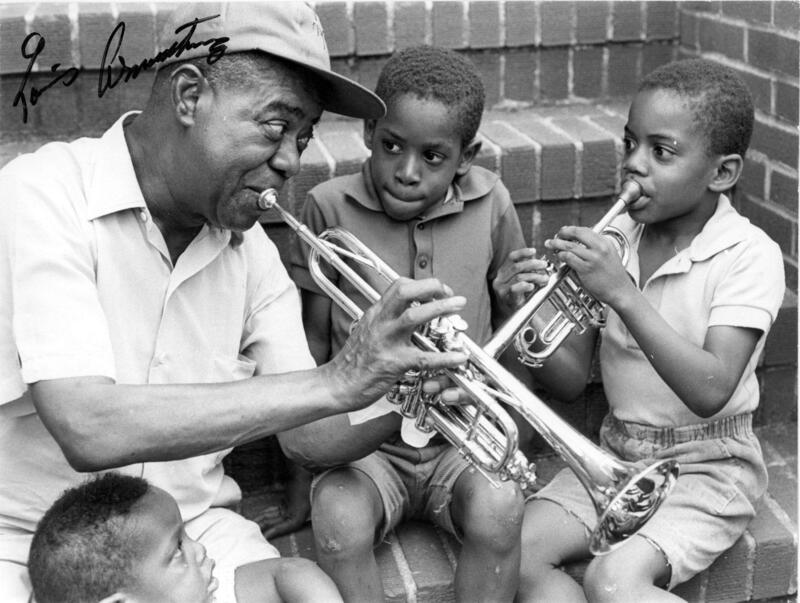 Over the years, multiple donations have been received from the public, including a massive collection purchased by the Louis Armstrong Educational Foundation from Jack Bradley, a long-time confident whom Armstrong referred to as “my white son,” as well as dedicated collectors overseas such as Gosta Hagglof of Sweden and Winfred Maier of Germany. The Armstrong home was designated a National Historic Landmark in 1977, and after a $2 million restoration, was opened as a museum in 2003. An Education Center is now under construction across the street from the LAHM. Plans call for the entire Collection, which represents the world’s largest archives for a single jazz musician, to be moved from Queens College in September and housed on the second floor of the $23-million Center. The building is expected to be open to the public in January 2020. Next Viola Smith’s Century in Music- An Interview with the World’s Oldest Drummer.